Saks Fifth Avenue at Christmas. Image Credit: @effortlyss. Saks Fifth Avenue at Christmas. Photography: @effortlyss. We hear it all the time: The jobs of the future aren’t even ideas yet. Alyssa Bossio ’15 has 1.5 million followers on Instagram and never would have imagined it would be the basis for a career she loves. Bossio started her first Instagram account seven years ago, before many even knew the site existed. While her original fitness Instagram account may have been outside her social circle, it reached a wide audience looking for those #fitspiration and #transformationtuesday posts. While studying English literature, Bossio kept up with her account in between classes. She says that she didn’t originally have a dedicated direction for the page, but by her senior year, she had 900,000 followers. Even though she saw immense success fairly quickly, her interest in the page was often dismissed as frivolous. Best travel tip: Take a ginger shot before your flight and stay hydrated! When she graduated in 2015, she moved to New York City with intentions of finding a job working with companies on their social media accounts. It wasn’t until she met her boyfriend and business partner, Meir Schonbrun [@m3iir], that she realized she had the tools to create her own company. “He really helped me find my direction. I had this online identity as a fitness expert, but I didn’t want to be a trainer. That just wasn’t the career path for me,” Bossio says. 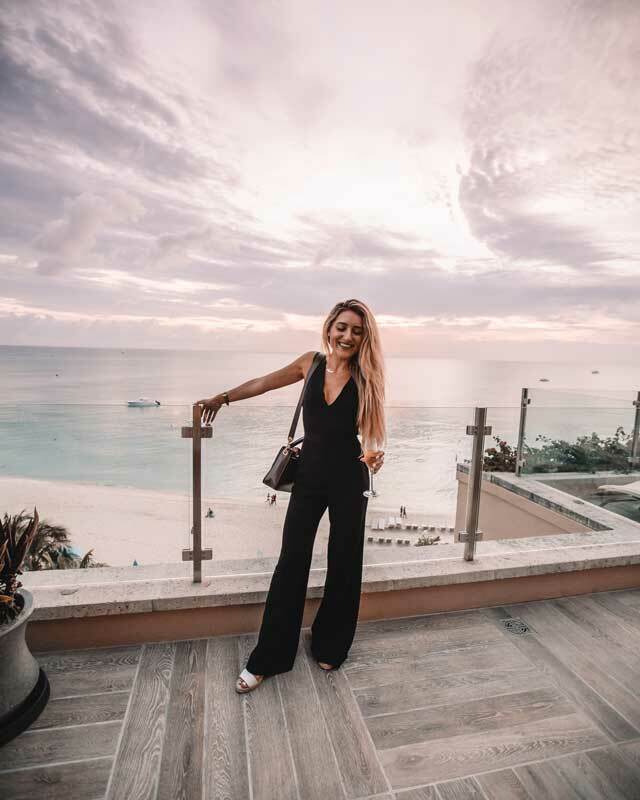 With Schonbrun as her official photographer, Bossio was able to start transitioning her Instagram fame into the type of career she wanted as a style and travel expert. She started gradually by adding more fashion and destination photos to her ongoing fitness feed. Bossio and Schonbrun then expanded the brand to include a YouTube channel, Snapchat account and a blog, with Instagram still serving as the main content channel. 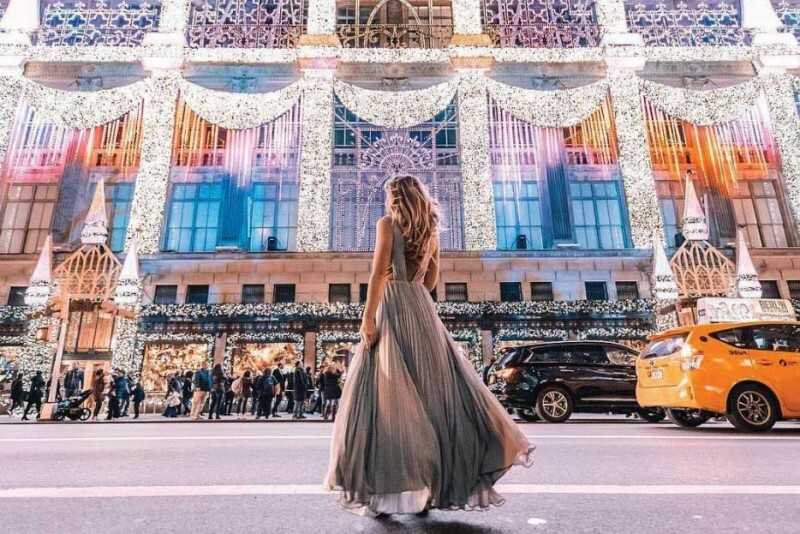 Today, @Effortlyss is filled with perfectly filtered photos of New York City landmarks and eye-catching travel destinations, along with Bossio’s signature blonde waves and stylish outfits that look ... effortless. Bossio at Grand Cayman. Image Credit: @effortlyss. So, what is it like to be Insta-famous? The glamorous photos make it seem like paradise, far removed from an ordinary office job. For Bossio and Schonbrun, though, the job is similar to working as creative directors or as co-owners of their own company. The rest of the day is spent answering emails and managing brand partnerships. Partnerships are how social media stars make their money, and Bossio has worked with Toyota, Samsung, American Express, Macy’s and a wide variety of hotels and tourism boards. “I am always thinking about things in the long term, so when I work with a company, I commit to them. I don’t want to just get fast cash. If I share a brand with my followers, I really incorporate the product into my life,” Bossio says. “Social media gives people the opportunity to put on a persona and run with it. That can be a huge problem. I have met people who preach certain things on their accounts and act completely different in person. I try to share the good and the bad and only say things I truly believe,” she says. Assistant Professor Jenny Jiao from the School of Management teaches social media marketing at Binghamton University and is an expert on how advertisers use social media influencers. Jiao has found that often it’s an influencer’s perceived authenticity that makes them an asset to companies. “Consumers trust endorsements that come from opinion leaders more than ones that come directly from the brand. It feels like a friend telling you to purchase something,” she says. Jiao explains that many influencers build their brand around ideas of a picture-perfect life, which can be especially appealing to young consumers who may not realize the work that goes on behind the scenes to develop that idealized brand. While Bossio’s images also promote a carefree, live-for-the-moment lifestyle, she sees it as her responsibility to stay authentic by sharing the good and the bad with her followers through her detailed captions and personal messages. Part of that authenticity for Bossio is a constant drive to inspire others. “I really want people to pursue their dreams and live their best life,” she says. Bossio will even respond to comments and message her fans, a task that can be fairly arduous given that her most-popular posts could have more than 2,000 comments and nearly 150,000 likes. How does @Effortlyss compare to other famous New Yorkers on Instagram? That positive attitude comes partially from a love for motivational speakers. These motivational messages could be exactly what Bossio’s followers need, Jiao says. Jiao also pointed out that Bossio’s preferred platform, Instagram, tends to reach a younger, predominately female audience. These young women, who are potentially struggling with loneliness, identify with Bossio’s positive messages. While Jiao notes that this audience can be exploited by advertisers, Bossio has a sincere interest in improving their future. She doesn’t want others to miss out on pursuing their passions for fear of not being able to make a living in a creative field. What advice does Bossio give aspiring social media stars?